ROMANCE was afoot on a university pub crawl when Jennifer Elliott and Troy Dyer first set eyes on each other. 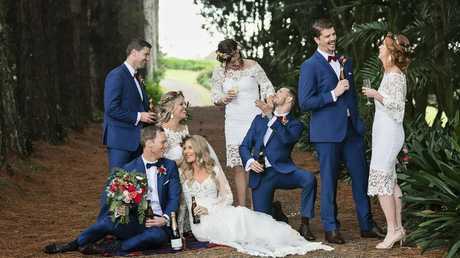 The couple, who live at Kangaroo Point, in Brisbane's east, celebrated their wedding at Tiffanys Maleny, in the Sunshine Coast Hinterland. Guests enjoyed playing bocce and giant Jenga, which were set up on the lawn to entertain during the canapés. 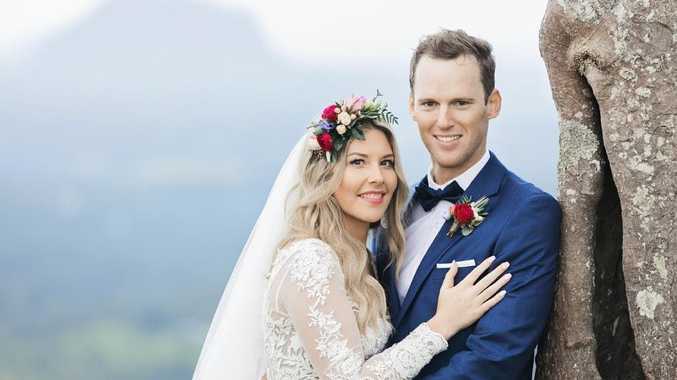 The newlyweds honeymooned on Hamilton Island, in the Whitsundays, enjoying "two weeks in absolute luxury". 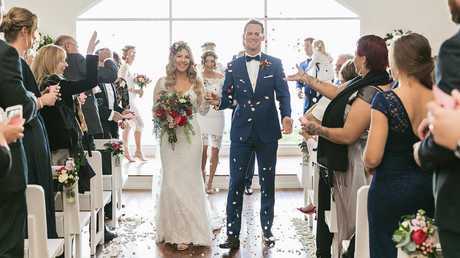 Jennifer Elliott and Troy Dyer were married at Tiffanys Maleny, in the Sunshine Coast Hinterland. 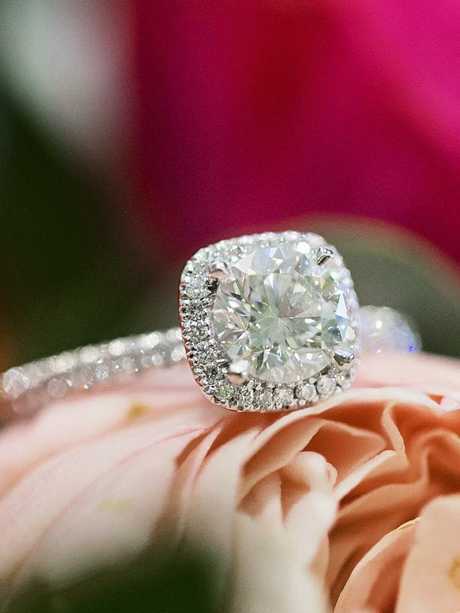 A round solitaire diamond set in a cushion cut diamond halo with diamonds in the band. 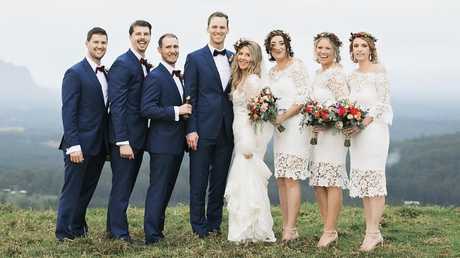 Jennifer Elliott and Troy Dyer with their wedding party. 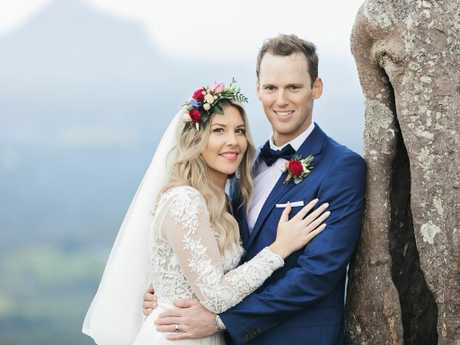 Jennifer Elliott and Troy Dyer on their wedding day at Maleny. We were on a scenic helicopter flight and all of a sudden Troy pointed out my window and asked, "What's that down there?" I looked down to see huge writing in the sand (on South Stradbroke Island) which said, "MARRY ME JEN". When I turned around Troy was down on one knee with a large white ring box in hand and a large poster for me to tick my answer (options: Yes, No, Not Now). Have You Ever Really Loved a Woman by Bryan Adams. Jennifer Elliott and Troy Dyer with their bridal party. 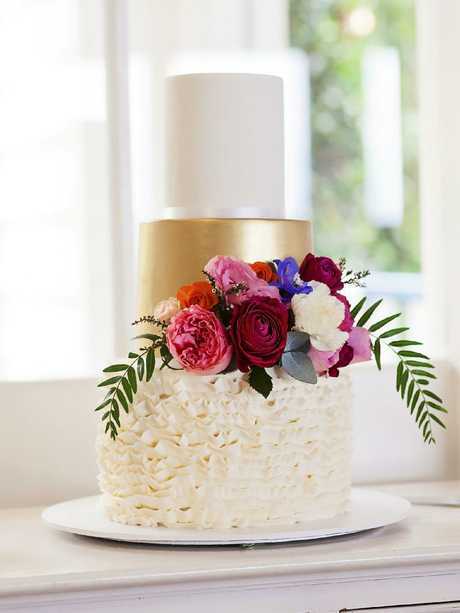 What made this uniquely your wedding? I firstly danced to Unforgettable by Nat King Cole with my father before he then handed me over to Troy for our first dance. I organised it this way because it meant a lot to me that my father was able to not only walk me down the aisle but to share the first dance with me after an accident in 2003 left him unable to walk for a considerable amount of time due to a broken back. We also put a lot of effort into creating elements that held significance for us. I had a love heart charm with a photo of my grandparents inside attached to my bridal bouquet. It meant I had a piece of them with me for the day as they are no longer with us. My favourite moment was standing at the end of the aisle holding Troy's hand and turning out to see everyone's smiling faces while we listened to my sisters-in-law complete their readings. It was a very mindful moment where I took the whole experience in and felt the love from everyone in the room. 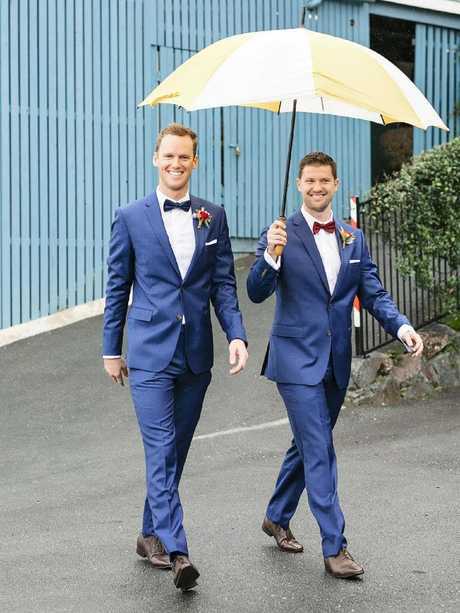 It made me feel completely relaxed standing there with Troy by my side after all the nerves from pulling up in the car and stepping out to the big event. Troy loved hearing the words from our celebrant that we were now officially married. 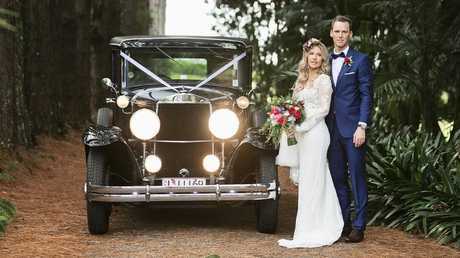 Jennifer Elliott and Troy Dyer with their wedding car, a 1929 Graham Paige. My oldest brother filmed the day for us. Very shortly after the wedding he sent through a "trailer" for the final cut of the video. This was a mock-up of a movie stating that the wedding was the third instalment of the trilogy of Jen & Troy. He did a deep voice-over to it with many witty references to parts of the day and people's speeches. It was a great laugh. We are looking forward to the final extended version. Book in the large items first (the venue, photographer etc) as things can book up 12 months in advance. 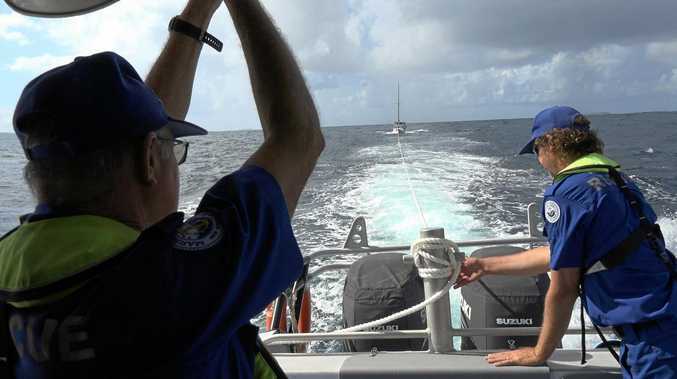 Online tools such as Instagram and Pinterest can come in very handy as you start to see links between who commonly works with who in particular areas of the state. I found it a smoother process to have companies who knew each other well.